A quick & easy recipe for crunchy nuts coated in cinnamon sugar. But be warned: this healthy snack is highly addictive! In between when I graduated high school and left for college, I did the same thing… With my entire bedroom. I meticulously moved everything into the living room—closet shelves, desk drawers, dresser drawers, bins underneath my bed—to sort through it, dump or donate half of the items, and carefully arrange my remaining possessions into their appropriate drawers or labeled Rubbermaid containers. Then I moved on to the kitchen pantry with the same routine: pull everything off of the shelves, throw out anything past its expiration date, and organize shelves by theme. I designated space for baking ingredients, canned goods, pasta, cereal, snacks, cookies, chocolate, and more. All of the items were set up by expiration date, with the ones farthest off in the future in the very back. Then a year or two ago on one of my visits home, I noticed the pantry had been reorganized—without me. My parents had gone on a health kick, changing out quinoa for pasta, oatmeal for cereal, and nuts instead of cookies… And changed a few of the shelves in the process. Although slightly shocked, I gamely tried one of my mom’s newest snacks: 100-calorie packs of almonds. 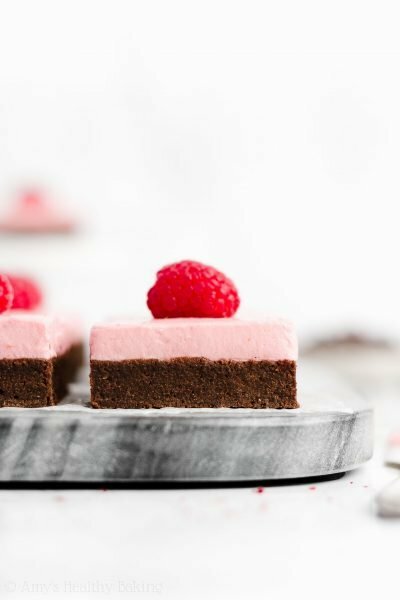 She stashed boxes of smoked, cocoa, and cinnamon roasted flavors on the newly improved snack shelf, and she usually slipped a few into her purse for the long hours of errands or commutes to work. I was hooked! 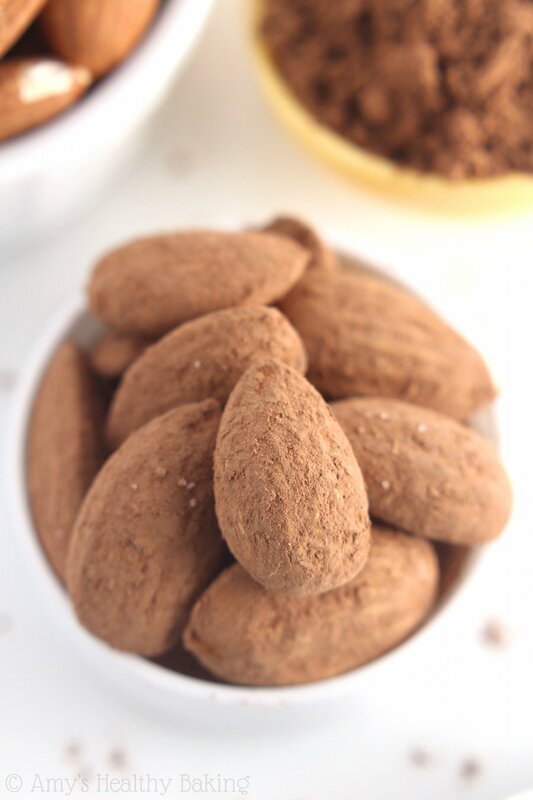 I already made a copycat version of the cocoa roasted almonds, so it was high time to try my other favorite: these Cinnamon Roasted Almonds. 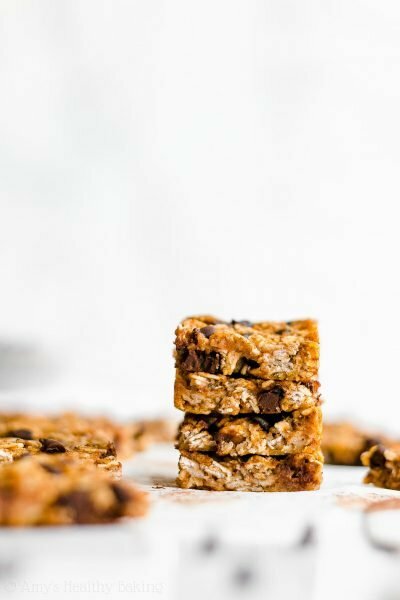 Warm, crunchy, lightly sweetened, oh-so-addictive… I almost need those little 100-calorie baggies to store my version in so I don’t eat them all in one sitting! 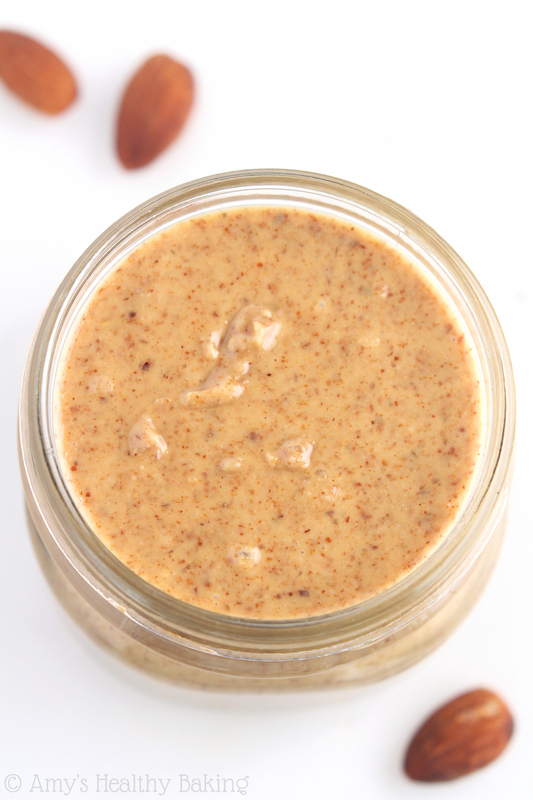 This recipe is mindlessly easy, and you can even buy roasted almonds to make it even easier. Not that toasting almonds in the oven is very difficult… But since it can be nearly impossible to find raw, un-roasted nuts in some stores, it’s okay to go with the pre-roasted shortcut! For the cinnamon sugar mixture, I used a combination of ground cinnamon and powdered Swerve sweetener, plus a tiny pinch of salt. Swerve is a no-calorie, plant-based sweetener, and the powdered version behaves just like powdered sugar. 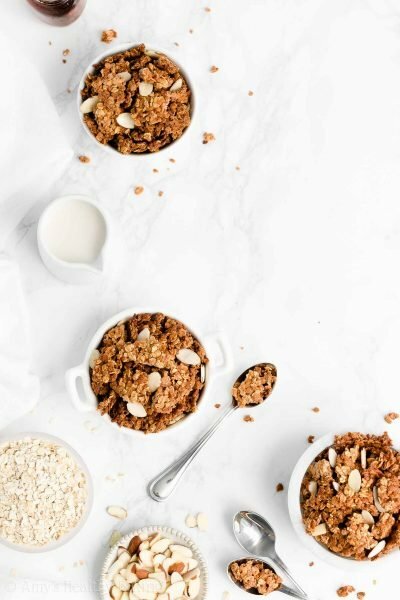 It “dissolves” better with the cinnamon, as opposed to granulated sugar or sweeteners, so it sticks better to the almonds. As soon as the nuts come out of the oven, lightly mist them with nonstick cooking spray. This little trick helps the cinnamon mixture adhere a little better to give you a stronger spice taste. 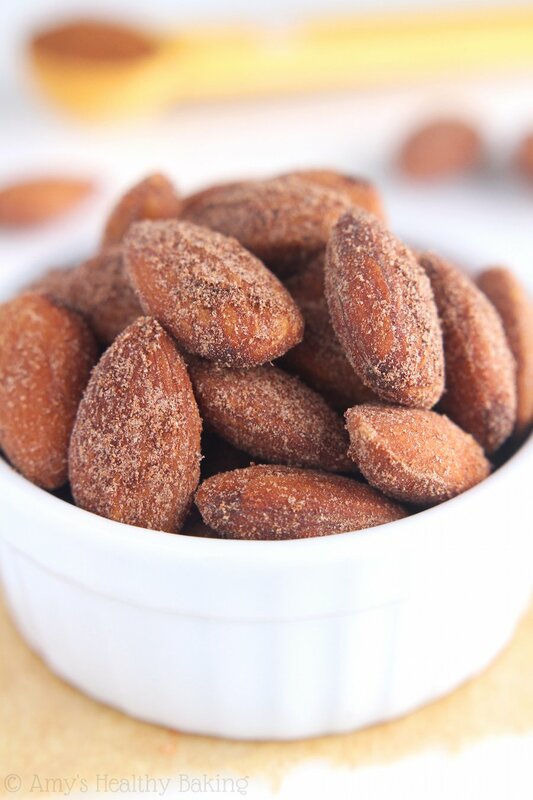 Shake the almonds in the pan; then spray once more to ensure they’re fully coated. 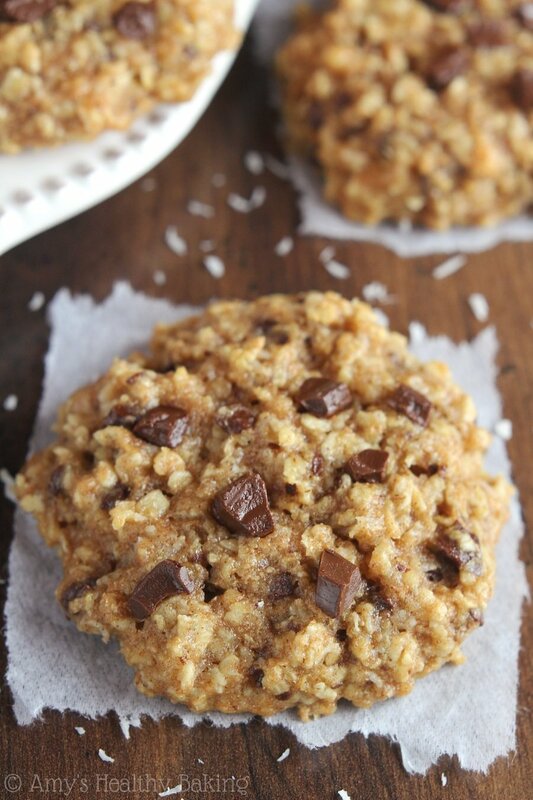 Transfer them to a bowl, toss them with the cinnamon sugar, and let them cool! 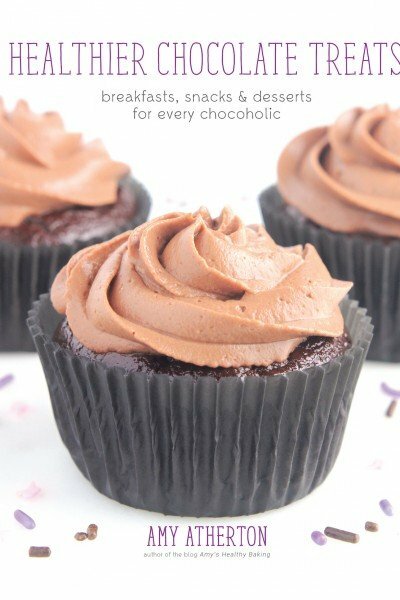 Then hide them from me… Because otherwise you’ll end up with an empty bowl! 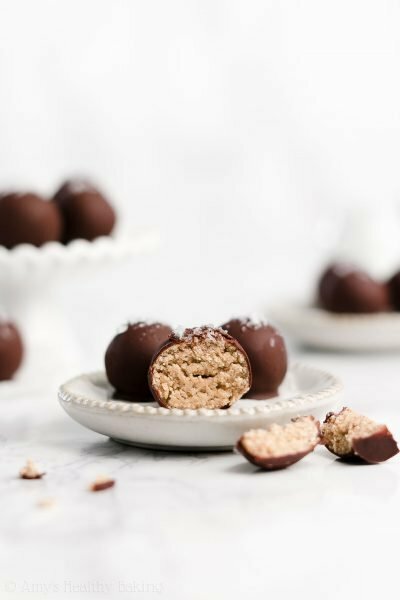 This healthy snack is really easy to make, and it’s great for tucking into lunch bags or even hostess gifts! The nuts will stay fresh for a few weeks if stored in an airtight container. If you can only find roasted salted almonds, that’s okay. 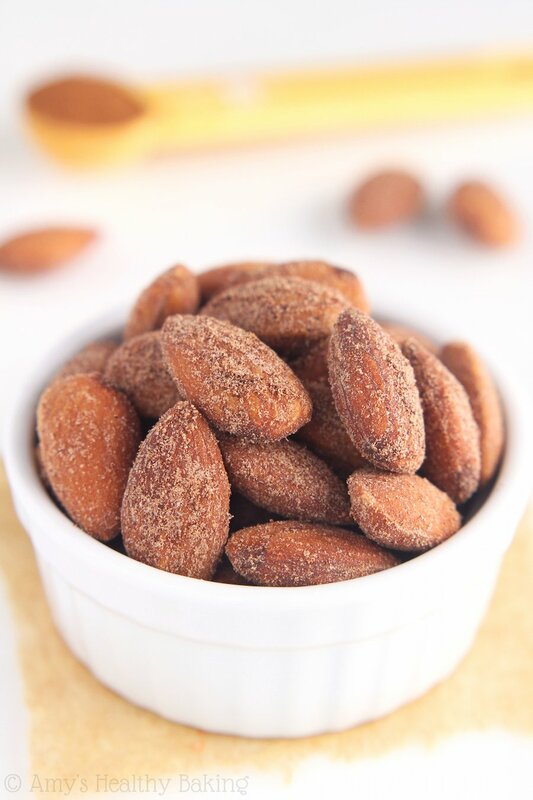 Omit the salt, and bake the almonds for just 4 minutes. 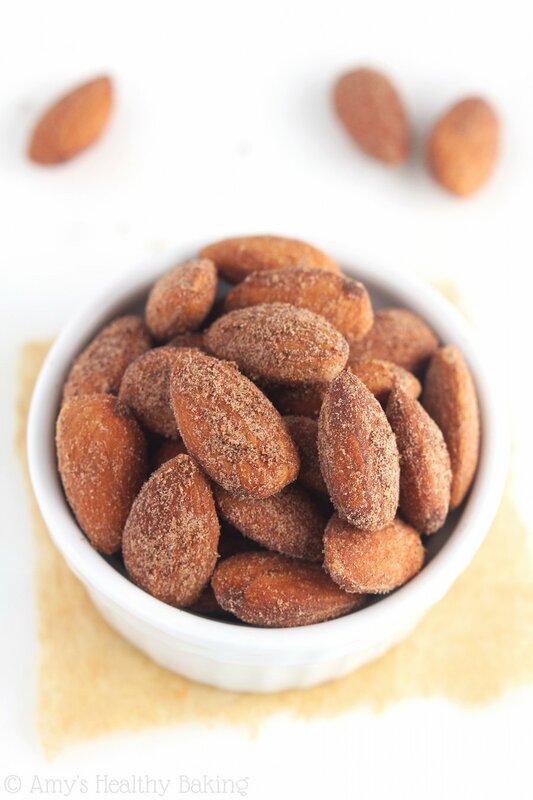 I have been using your cocoa roast almonds as a snack at work and I can tell I’ll need to add your cinnamon ones to my rotation now! Thanks for the recipe. I love how simple these are! Plus they are super tasty too! Looks delicious!! do you happen to know an alternative to the cooking spray? You could use a homemade cooking spray by putting your favorite liquid oil (like canola or olive oil) in a spritz/mister bottle, but that’s the only good substitute. 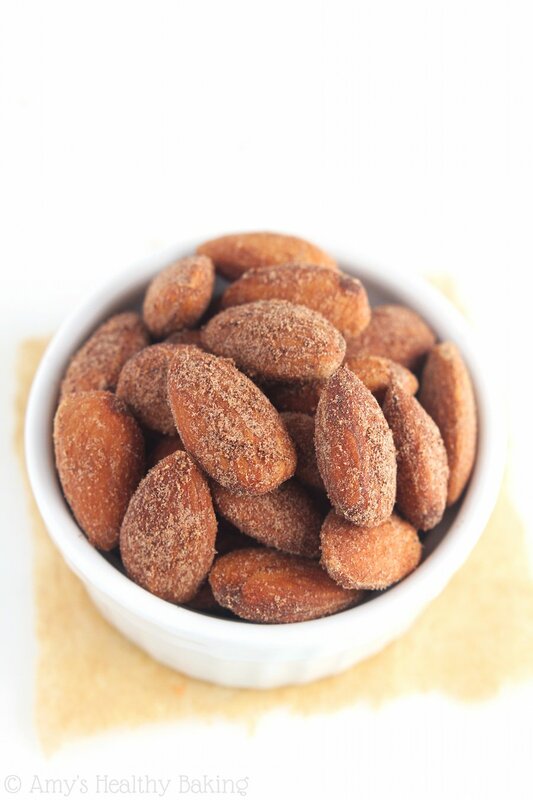 I’d love to hear what you think if you try the almonds Nada! 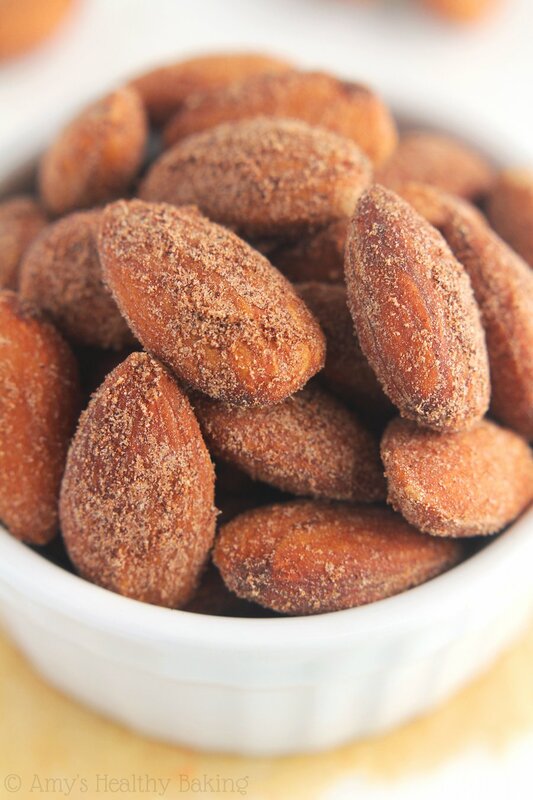 I’d love to hear what you think if you try these almonds Nina! 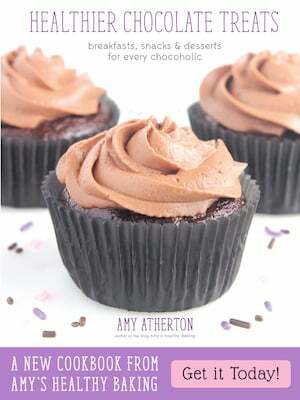 Wow Amy these look great! I love almonds and I’m definitely going to try these out!